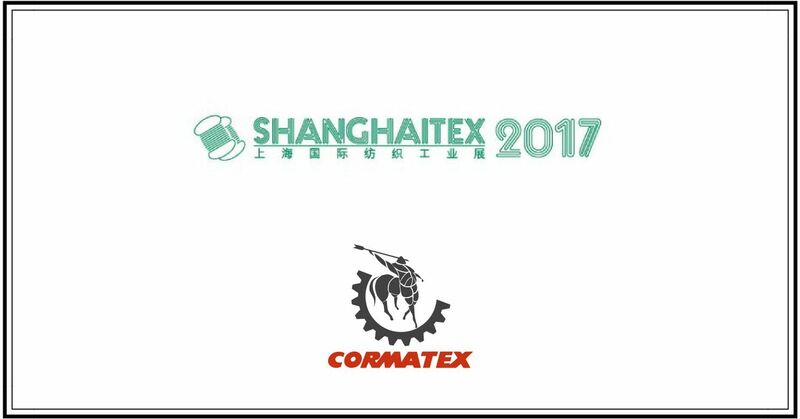 Textile machinery and Lines manufacturer Cormatex will exhibit inside Italian Pavillon, Hall E1, Booth No.B23, at SHANGHAITEX 2017 held on 27-30 November. The company already exhibit in year 2017 at Index, Techtextil, Techtextil NA, Irantex, Caitme and Techtextil Mumbai, obtaining great success of visits and sales. It will exhibit also in Since-Shanghai Booth No.1W11 on 8-10 November. Founded in 1938, Cormatex offers high quality technologic machinery and turn-key lines for Woollen Spinning and Nonwoven sectors. In China since 1985 and strong of its office in Beijing, Cormatex installed all over Asia more than 100 Spinning’s Lines. The offer includes brand new and second hand reconditioned machinery: opening and blending equipment (bale openers, card willows, oiling chambers, Blending bins, Beater mixers, Fibre Openers and Step Cleaners), carding sets in various configurations (3 or 4 cylinders, etc.) and widths, Mule and Ring Spinning Frames, Assembly Winder, Twisting and Cone Winding machines. Also, worsted and semi-worsted machines are available. The specialties are: a) the capability of adapting the design and configuration of different machine parts to the specific customer needs; b) the exclusive patented Parallel Lapper, able to guarantee a more uniform web and more even fibre counts, with a 15-20% efficiency increase and a remarkably higher yarn quality (up to Nm 60); c) the Single Tape Condenser, for a constant tape tension and a uniform and even condensed count. In terms of fiber preparation for spinning, Cormatex developed 2 unique technologies: i) Wool-deburring machine, a pure mechanical system (no chemicals required) capable of removing vegetable impurities from raw wool without fiber breakage or shortening; ii) Dehairing machine, a special mechanical process that assures the separation of fine fiber from coarse hair. The long experience in Woollen Spinning allows Cormatex’s installations to meet the highest productive & quality standards, fulfilling the expectations of exigent customers, providing them evident competitive advantages. In particular in the production of fine knitting yarn including cashmere, angora, camel hair, alpaca, llama, buffalo, guanaco and their blends with fine wool. Concerning the Nonwoven sector, Cormatex can provide complete lines including 3 different dry-forming technologies to combine with Thermo-bonding Ovens and/or Needle punching machines: 1) Carding & Cross Lapping, up to a final width of 15m; 2) the advanced Airlay machine “Lap Formair V”, for vertical fibers orientation, providing excellent resiliency, thermal and acoustic insulation; 3) the unique Airlay system “Lap Formair H”, providing a horizontal fibers stratification for high mechanical properties – with the possibility of using also powder resin in alternative to low melting fibers. In particular our 2 Airlay systems Lap Formair V and H combines high ecological value (waste recycling) with huge economical advantages (low investment and maintenance costs, high productivity, extreme product versatility). Possible applications are building construction, automotive industry, furniture, mattress production, agriculture, packaging apparel and so on. An airlay pilot line is available at Cormatex for research and development with customers.